The BBC World Service is to close five of its language services. It is thought that about 650 jobs will be lost from a workforce of some 2,400. It is believed staff will be informed on Wednesday of the redundancies. The Macedonian, Albanian and Serbian services will be axed, as will English for the Caribbean and Portuguese for Africa, in a bid to save £46m a year. The BBC said it had to make savings after its government support was cut, but unions called the move "ferocious". Last October, the government announced the BBC would take over the cost of the World Service from the Foreign Office. The service, which started broadcasting in 1932, currently costs £272m a year, and has an audience of 241 million worldwide across radio, television and online. It is believed the BBC will make a statement on Wednesday about the latest wave of redundancies, to be phased over two years. It is understood that two-thirds of the jobs will go in the first 12 months. A reduction of programmes in another seven languages is also set to be announced. The BBC World Service has confirmed it is closing five of its 32 language services, but that's just the start. More savings will be announced shortly, including cutbacks in other language services and the probable loss of about 650 jobs. It's not a total surprise. In October, the Foreign & Commonwealth Office - which still pays for the World Service - said its grant would be cut by 16%, under the government's Spending Review. 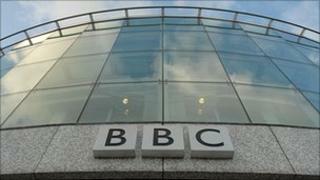 (The World Service is not yet funded by the TV licence fee - but will be from 2014). The BBC said it also faced extra costs - including a large pension contribution - which meant there would be service closures and significant job losses. Even so, a cut of a quarter of the staff, if confirmed, would be dramatic by any measure. Protests are already planned. The National Union of Journalists is planning a "vigil" outside the World Service headquarters and is urging committees of MPs to review the planned cuts. The National Union of Journalists (NUJ) said it planned to hold a demonstration outside the World Service headquarters in central London on Wednesday. It has also written to the chairman of the House of Commons Foreign Affairs committee, Richard Ottaway, and the chairman of the Culture, Media and Sport Committee, John Whittingdale, calling on them to review the plans. The NUJ said that if early reports were correct, the "drastic cuts" would "severely damage the national interest of the UK". "These ferocious cuts to a valued national service are ultimately the responsibility of the coalition government, whose policies are destroying quality public services in the UK," general secretary Jeremy Dear said. BBC global news director Peter Horrocks said the closures were "not a reflection on the performance of individual services or programmes". "They are all extremely important to their audiences and to the BBC," he said. "It is simply that there is a need to make savings due to the scale of the cuts to the BBC World Service's grant-in-aid funding from the UK's Foreign and Commonwealth Office, and we need to focus our efforts in the languages where there is the greatest need and where we have the strongest impact." On Monday, the BBC said it would cut about 200 websites and up to 360 posts from its online division as part of a plan to reduce its budget by £34m. Among the websites set to close are teen services Switch and Blast, and the 606 football forum. The corporation said the changes were intended to make its website more distinctive, and to reduce competition with commercial sites.